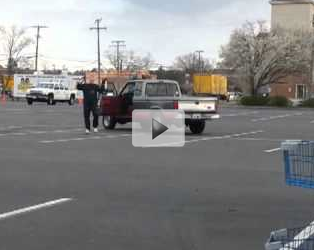 In the parking lot of a Food Lion store, one grandpa is practicing his Kung Fu moves. He does have some skills, and as the narrator in this video suggests, he is getting ready to fight off the devil. This video shows some of the fine people in the South and provides a fun look at just what some people do to keep themselves busy. Video in this post amazing.I learn steps of Kung Fu watching this video.